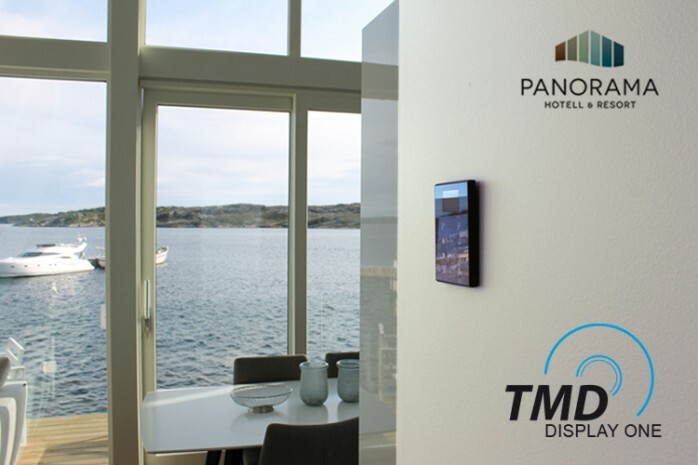 The Norway Panorama Hotel & Resort has refurbished some of its rooms and fitted them with Zennio's customizable capacitive touch panels. 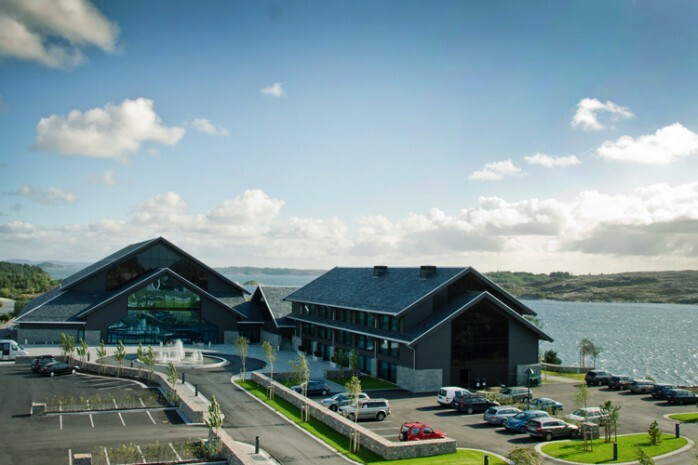 Panorama Hotel & Resort, located on the island of Sotra in Norway is a very carefully designed hotel conceived to offer its guests a concept of nature, relaxation, and the highest levels of comfort. 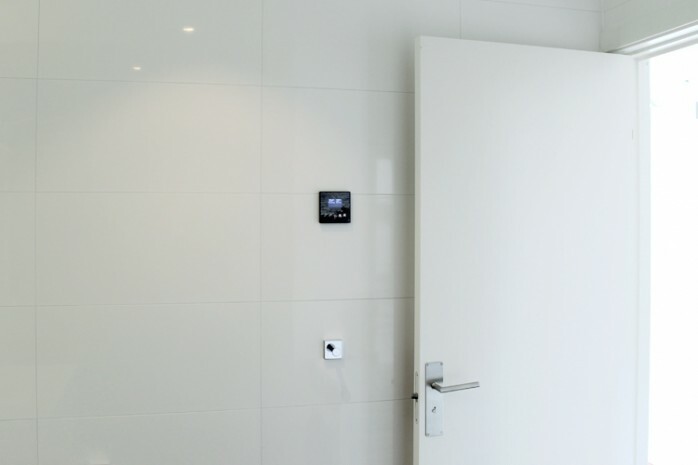 To ensure every single detail and obtain the maximum comfort of guests, the hotel management team decided to fit the new refurbished rooms with capacitive touch panels TMD-Display Onewith 8 customized buttons, which allow customers to switch the TV on/off, regulate room temperature, and execute different scenes when guests wake up and lie down, enhancing clients' comfortability. The customized and attractive TMD-display One installed in the entrance and living room of each refurbished room shows the hotel image on the background and is strengthened by its bright reflective glass surface that captures the admiration of human eyes enhancing the brand image of the hotel. 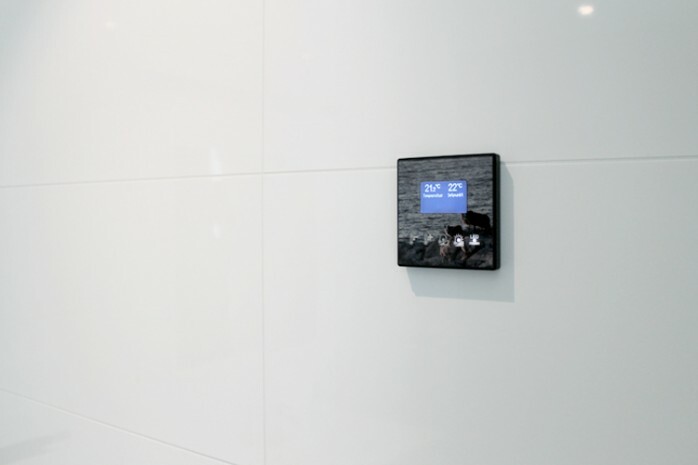 At the sleeping room and bathroom there is also a capacitive touch panel Square TMD-Display with 5 buttons fully customized that enables guests to regulate the lighting and LED lighting, and change the room temperature.